How Much Light is Enough? What Are High-Bay Lights and What Are They Used For? What's the Difference Between Energy Star and DLC? LED Rope Lights: Vertical or Horizontal? LED Chip Styles: What�s Best for Your Application? In addition to providing ambient illumination in a room or targeted task lighting of a work surface, recessed downlights can also be creatively used in a space to highlight works of art or provide various accent lighting effects on a wall. One of the common rules of using downlights for general lighting is to keep them away from the edge of the ceiling where it meets the wall. Being so close to a wall can create shadows that are not desired for general lighting. But rules are made to be broken. And there are times when the unique characteristics of light that are created when you place a can fixture close to the wall are very desirable. 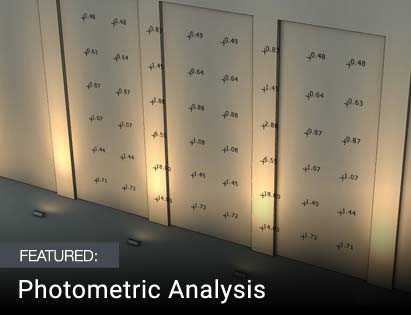 Let�s explore a few of these vertical surface illumination accent lighting techniques. Wall washing is when you use the light output from a recessed fixture to evenly and uniformly bathe the entire wall surface in light. This can be handy in a variety of situations. If you have large paintings or a large surface of the wall covered with hanging or mounted objects, wall washing will provide even coverage of all of it. (We�ll discuss specific lighting of an individual work of art further down below.) Wall washing is also a good choice if you have a wall of bookshelves or cabinetry that you want to light up. Sometimes you simply have an accent wall that is painted a drastically different color than the rest of the room; wall washing will help make it pop. Wall washing is meant to provide even illumination across the surface of the wall with minimal hot spots. It is not designed to maximize or draw attention to the textured surface of a vertical wall. That�s grazing, which we�ll get to. The spacing of wall wash fixtures is critical to achieving the effect. The distance between each recessed downlight should match the distance from the downlights to the wall. The closer together the fixtures are, the more uniform the illumination of the wall will be. The final component of wall washing is to make sure you use wall wash downlights. 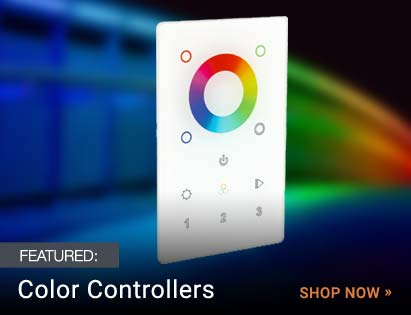 These can lights are specially designed to throw their wide light output in one direction. This is often done use dedicated wall washers that have an angled, lensed trim, or with scoop wall washer trims that effectively block the half of the light that isn�t facing the wall. Grazing is an effect where you place the downlights very close the vertical wall and point them straight down. This placement creates unique shadows that highlight the textured surface of the wall. It�s a very dramatic effect! This is best used on walls that are heavily textured, such as brick, rough stone, stucco, and similar materials. Place the downlights about 16 inches to 24 inches apart and only about 6 inches to 12 inches set back off the wall. Downlights with narrow beam angles work best here. Placing recessed down lighting adjacent to a wall can create interesting shadow effects, especially when placed along corridors or a visually interesting side of a room. While these shadows are not desirable in general lighting, when carefully controlled and intentionally placed, they can have a very dramatic effect on a space. This accent lighting technique is referred to as light scallops due to the rounded shape that is created from the cone of light coming from the fixture as it hits the vertical wall surface. The size, shape, height, and crispness of the scallop lines can very depending on the lighting fixture used, the spacing of the fixtures, and how defined the beam angle is projecting out of the downlight. There aren�t many rules for how to do scallops. A good starting point is to space the downlights twice as far apart as the setback distance from the wall. (So if the lights are 2 feet off the wall, space them 4 feet apart.) The design of the light scalloping can be adjusted to complement the atmosphere you�re trying to create. Just keep the spacing of the downlights even and symmetrical. Also, don�t set the lights too far away from the vertical wall, as this can place the light scallops too low on the wall, creating a �cave effect� if shadow dominates most of the vertical wall. You have a beautiful painting, poster, or other piece of flat artwork on the wall and you want to highlight it. 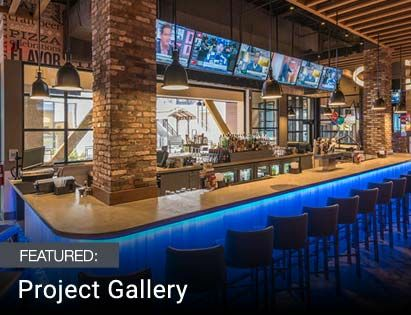 Focusing dedicated lights on artwork is a great way to make it pop and give it visual impact, as dedicated lighting will create a high amount of contrast compared to the rest of the space around it. Lighting your paintings, posters, or collectible objects with some adjustable recessed downlights is a great way to accent them, as you can point the light at the art. But where do you position the lights to maximize the visibility of the artwork? Don�t be afraid to go behind the basic general illumination with the common downlight. With creative uses of recessed downlights through wall washing techniques or artwork accent lighting, you can really add some visual flair to your space. 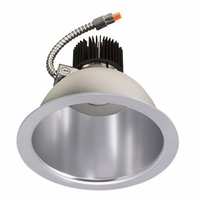 Contact us today and let us assemble a custom quote for LED downlights for your project.